Hirst Conservation Ltd was established in 1986 by Elizabeth Hirst. Elizabeth was trained by Professor Robert Baker and Mrs Eve Baker, who were amongst the UK’s most eminent conservators of wall paintings and limestone sculpture. Elizabeth is actively involved in the development of Hirst Conservation Ltd as both a practical conservator and consultant. Hirst Conservation is on the Conservation Register and employs a number of conservators accredited through the PACR scheme. 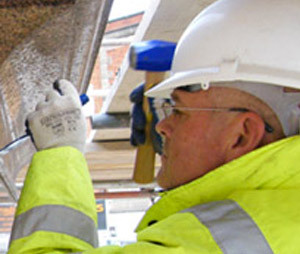 Hirst Conservation Ltd provides a holistic approach to the building envelope and associated surfaces. 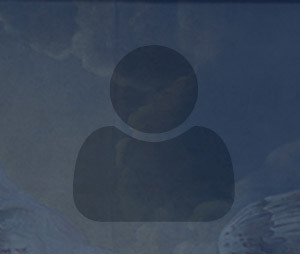 To achieve this aim, the company structure includes a wide range of disciplines, including stone, plaster, decorative finishes, wall paintings, materials analysis, paint research and easel paintings conservation, achieved through the employment of experienced conservators. Hirst Conservation Ltd also undertakes consultancy work and the overseeing of project briefs. This base of varied specialisms allows us to act on informed treatment specifications. All conservation work undertaken by Hirst, whatever the specialism, is undertaken alongside preliminary survey, analysis and research, including photographic and diagrammatic recording, archival research and the assessment of previous treatments, where applicable. This working relationship of research and conservation serves to enforce the understanding and appropriate treatment of the building envelope and associated elements. 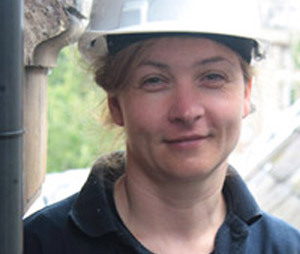 Following many years of training in medieval wall painting and stone conservation, Elizabeth became a senior conservator within the Eve Baker Trust. She subsequently went on to found Hirst Conservation in 1986 and manages a multi-disciplined organisation encompassing a wide range of skills and technical expertise. Paul has worked as a conservation analyst for Hirst Conservation for over twenty years, developing a unique understanding of conservation and materials science through his work. Responsible for laboratory analysis and the manufacture of traditional paints, Paul is also a skilled conservator in stone, plaster and decorative surfaces. Sabina specialises in the conservation of wall paintings, plaster and stone objects, and has published several papers in the field. She has gained wide-ranging experience through involvement in diverse national and international projects and is largely responsible for project management and on-site client liaison, whilst also undertaking remedial work on site. 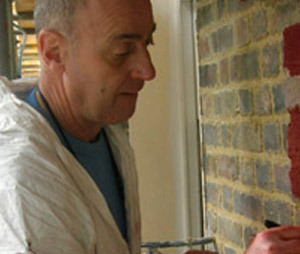 Tim joined Hirst Conservation in 2000, specialising in the conservation of masonry, earth walling and plaster works. Since joining he has become a key member of the Hirst team, with training and experience in the use of laser technology and specialised survey equipment for conservation applications. Lucy studied the conservation of paintings and polychrome sculpture at Nicolaus Copernicus University in Torun, Poland and has worked for Hirst Conservation since 2007. 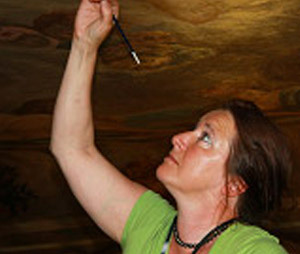 She is involved in the development of conservation strategies, undertaking and supervising treatment of wall paintings and decorated architectural surfaces.